You may have heard of this incredible brand but if you haven’t, you have now! Full of interesting lace and macrame, this designer brand really knows how to bring elegance and quirkiness to simple silhouettes. I love the uniqueness of the designs and the transparent sections that create illusions. The colours are vibrant and exciting and offer something unique to the market. The price points aren’t cheap but it really is worth those hard earned pennies. My all time favourite piece is the Liliana Dress. With a cute collar and see through sections, this midi dress with little lace sleeves is a must have that you can’t find anywhere else, not even a knock off copycat version! Which will you be saving up for? 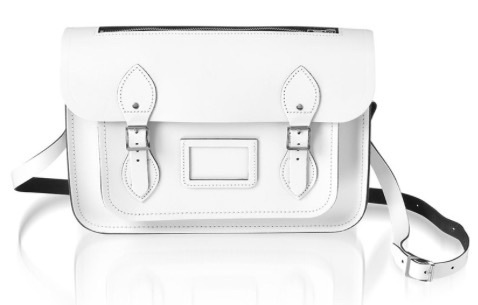 When I thought my love for Cambridge Satchels couldn’t become any greater I came across the collaboration with the world renound satchel company and top designer Vivienne Westwood. The simplicity of the print beautifully compliments the three available sizes and three bold colour combinations, everyone will have their own favourite. Available online or in Vivienne Westwood boutiques, I would grab your fave before they sell out. Prices start from £115, almost justifiable! If your not tempted by the prints, here are my favourite statement satchels from the collection. WARNING: There is currently a 50% off sale so it may leave you with empty pockets. 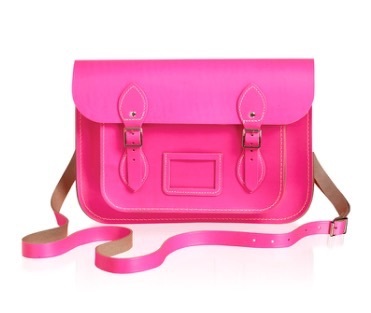 Feeling daring: Go for the fluoro satchel which will turn heads and surely brighten your wardrobe. Feeling different: Go for the new magnetic closures or zipped satchels which have easier accessibility and are a subtle twist on the classic. Feeling simple: instead of the classic satchel, the company also make cute over the shoulder bags with a simple clasp closure; perfect for a more formal look. 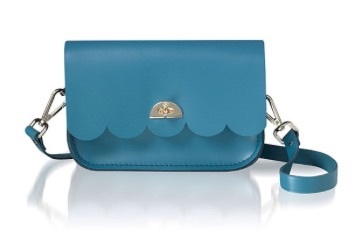 My fave is the new cloud bag which has a scalloped edge. Which satchel would you choose? If you thought fruity fashion was so last year then think again. This year it’s back and it’s bigger than ever. 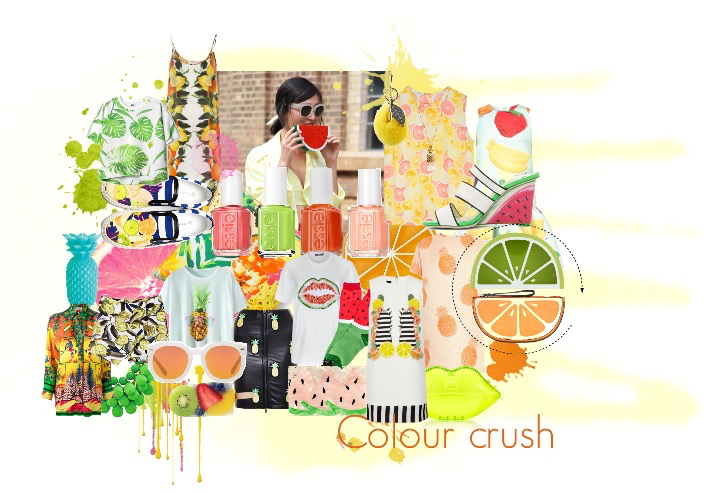 From watermelons to lemons, high street to high end, sunglasses to skirts, printed fruit is everywhere you look so grab a must have whilst it’s hot. If your still not sure, there are plenty of low cost bargains to be found so grab a cheap and cheerful fashion find whilst they are still in stock.